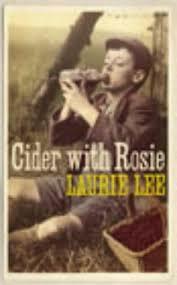 Laurie Lee, the well-loved author and poet, is best remembered for his autobiographical work Cider With Rosie. Here, then is a vegetable pie which incorporates those flavours. It serves 2 - 4, depending upon the size of portion. Slice the onions and fry until golden. Mix the stock with the cider and sugar and put into a large pan with the carrots and parsnips. Cook until just tender, remove the vegetables and put to one side. Add the broccoli and cauliflower. Cook until tender. Remove and reserve with the other vegetables. Mix the flour with a little water, add to the cider and cook until thickened, stirring all the time. Cook for 2-3 minutes, remove from the heat and add the parsley. Place vegetables in a greased dish and season well. Put the pastry on top of the dish and slash with a sharp knife.